There is a diverse programme of holiday activities for 3-18 year olds throughout the year, with something for everyone. 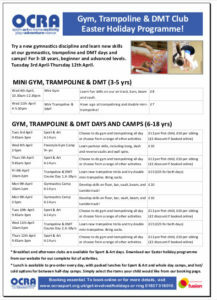 Our programme for gymnastics, trampolining and DMT is available now. For Sport and Art days, gym and trampolining will run all day, every day. Parents can now book and pay online. 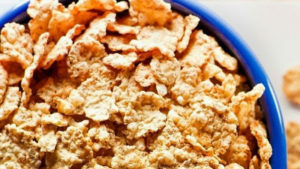 Simply click the booking buttons below to go to the main OCRA website. 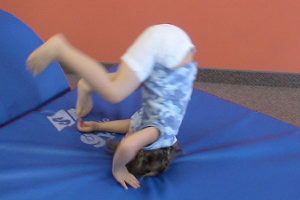 Trampoline and Double-Mini-Trampoline Course (£15, £25 for both days) NEW! Learn new trampoline tricks and have a go at double mini-trampoline! Mini Trampoline & DMT (£7) NEW! 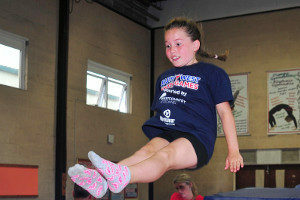 Have a go at trampolining and double mini-trampoline! Learn parkour, freerunning and tricking skills, including kong, dash and reverse vaults and wall spins. 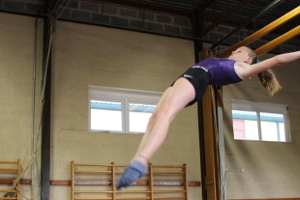 Learn fun skills on our air track, bars, beam and vault. 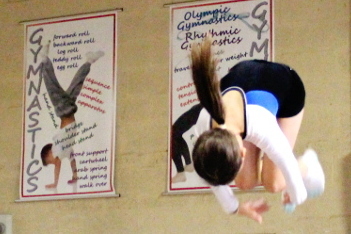 Develop skills on floor, bar, vault, beam, and tumble track! Fun multi-activity days. 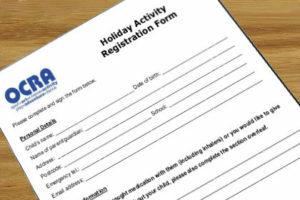 Children can choose from a great range of activities over the day. Standard Sport and Art Days run 9.45am-3pm, 6-14 yrs, £12 per first child, £10 per sibling (£2 discount per child if booked online). 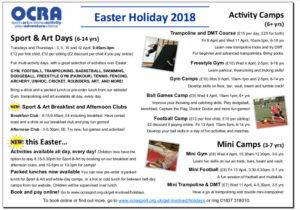 Activities this Easter include gym, football, trampolining, basketball, swimming, dodge ball, freestyle gym (parkour), tennis, fencing, archery, unihoc, cricket, rounders, art and more! Gym, trampolining and art will run all day, every day. Round off the day with more fun games at the Pavilion. 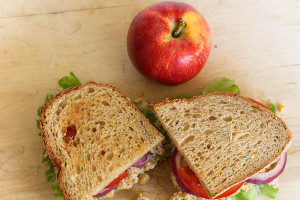 Hot food options for between half-day camps available on Wednesday 4th April and Monday 9th April. Sport and Art Days – at 9.45am in the sports hall at Parklands Leisure Centre. 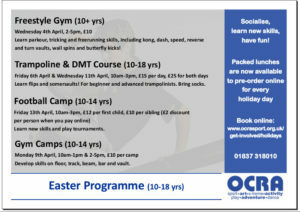 Mini-Gym and Mini Trampoline and DMT – meet at Okehampton College Gym. 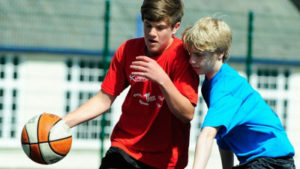 Sport and Art Day Breakfast Clubs (8.15am) and all other camps – meet at the Pavilion in the Park. If you would prefer to pay by cheque, please complete page 2 of the booking form and send with payment to OCRA, Pavilion in the Park, Mill Road, Okehampton, EX20 1GE (cheques payable to ‘OCRA’). Swimming is available on Thursdays 5 and 12 April for an extra £1.75 (children must be 8 years old or over and already able to swim). Please book early as we have limited places. We will contact you if the activity you have booked on is full.